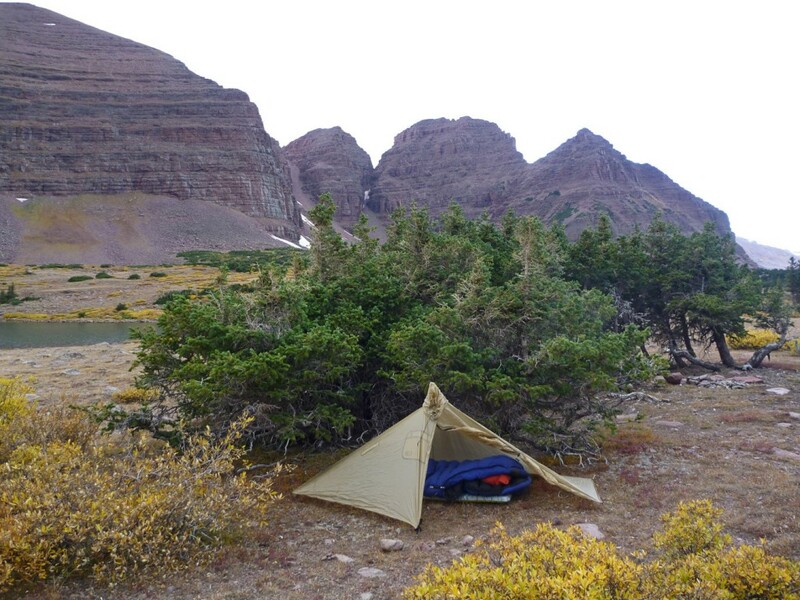 This entry was posted in Backcountry Gear Reviews, Shelter Reviews, Stove Reviews and tagged backpacking, gatewood cape, mediocre mountaineering, poncho, shelter, six moons designs, tarp, ultralight backpacking by Kai. Bookmark the permalink. Thanks for the ongoing support of Trail Designs and our Ti-Tri system! I noted in your review that you stated: “I really do like the Evernew titanium alcohol burner, and I’m going to use it as my burner for my Ti-Tri kit going forward.”. We’ve experimented with that burner inside the cone and found that it has a few problems. Test it a good bit before you depend on it in the field. The higher heat and lower oxygen inside our cone systems tend to do one of two things with burners like the Evernew. Either it burns out all the oxygen and chokes out….or it overheats, boiling off more alcohol making it run faster, making it even hotter makinge it burn of even MORE alcohol making it run even FASTER etc etc etc until you get into a runaway stove situation. In your case, there is no chance it will melt the titanium cone…..but we have seen this melt aluminum cones. Prompted by your comment regarding the stove burner, I conducted a quick test of the Ti-Tri system using the 2 liter Open Country aluminum pot. Ambient temperature was about 45 degrees, with a mild breeze. I used the Trail Designs aluminum burner, the Evernew titanium burner, and the Trangia brass burner. 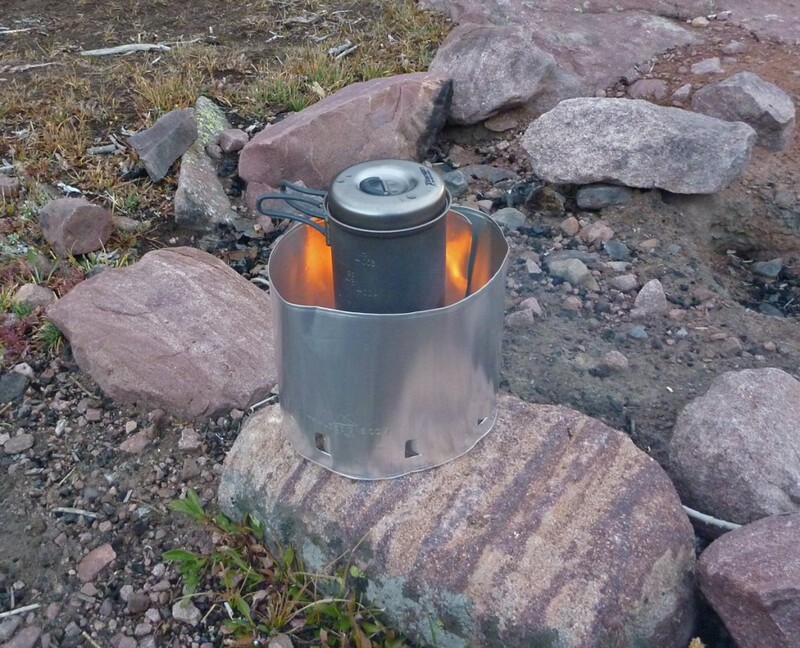 The Trail Designs stove took 23 and a quarter minutes to boil 5 cups of cold water. It used about 1.5 ounces of fuel. 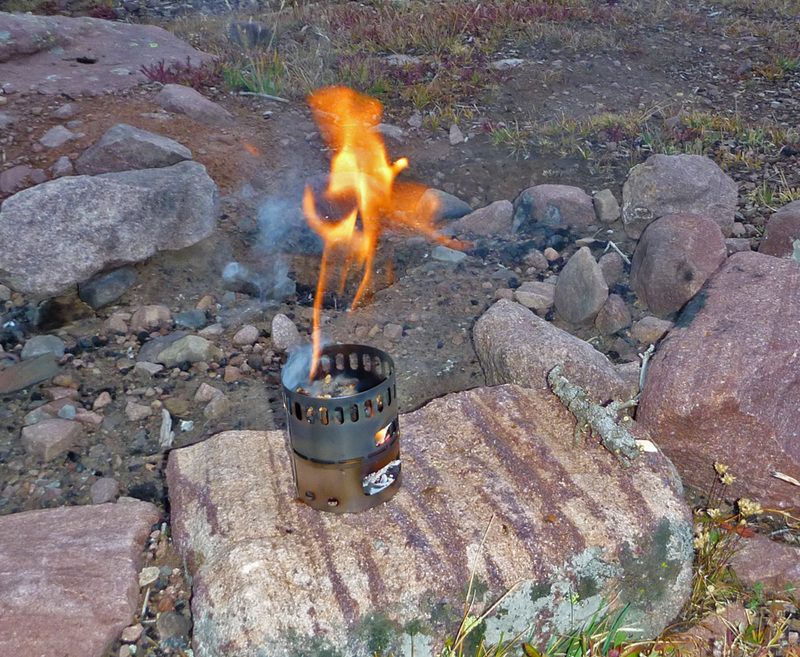 The Trangia Burner took 14 and a third minutes to boil 5 cups of cold water. It used about 1.7 ounces of fuel. So, the Trail Designs was the most efficient, but took the longest. The Evernew was fastest, but least fuel efficient, and the Trangia was in between them.